When you are starting to consider the home selling process, there are lots of steps involved. We have created an outline of easy to understand steps for when you hire us as your real estate team. Paperwork: We will prepare and go over all listing paperwork with you which includes all property and lead-based paint disclosures as applicable. We will provide the MRIS Profile sheet for you to complete and “x” all the boxes that apply to your home. Brochure Sign-Off: We will prepare a draft of the features list and conveyance page for the brochure. You will need to read over the information, checking for accuracy and completeness, then make any changes you like, initial and then return to us. Preparation: We will schedule the professional stager to come out and walk through your home with you to make any suggestions for updates and changes. Following the meeting a written report will be provided. At that time, we can work together to determine the most important update and changes. Should you need a contractor to come out and provide an estimate we can provide referrals. The recommendations are to make your home more saleable, so it is important any repairs or “sprucing up” are complete before we schedule photos and go on the market. Property Owners Association /Condo Association Documents: If you are part of an HOA or Condo Association, Virginia law requires you to provide a disclosure package to the Purchaser of your home. We will work with you to get your document request to the HOA or Condo Association. Be prepared that most associations charge a fee to provide the package. Sign: A wooden post “For Sale” sign will be installed in your front yard. The sign will stay up until your home goes to closing. If you have underground sprinklers, an electric dog fence or if you have a specific place where you would like your sign installed, please let us know immediately. We will prepare and go over all listing paperwork with you which includes all property and lead-based paint disclosures as applicable. We will provide the MRIS Profile sheet for you to complete and “x” all the boxes that apply to your home. Remove all refrigerator magnets, photos, etc. Hide all bath products from the tub/shower including soap, shampoo, washcloths, etc. Hide all bath products from the sink including hand soap, makeup, etc. decorative soaps can stay. Open Houses - When open houses are scheduled, you will need to tidy up and make arrangements for all family members, roommates and pets to be away from the home. Agent Showings and Agent Previews - When your home is going to be shown or previewed by an agent, it is important to have it looking its best. Don’t forget to tidy up and turn on all lights before you leave. It is important you leave your home when it is being shown. This allows a potential buyer to visualize living in the home and feel more comfortable discussing any changes they might like to make. 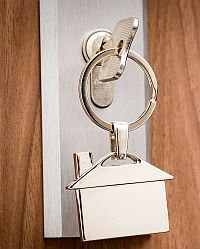 Buyers Without Agents - If a friend of a friend wants to see your house or a a buyer knocks on your door and is not with an agent, please ask them to call us to arrange a time to see your home. If they already have an agent, they should call their agent. This is both for your safety and because it makes good sales sense. Follow Up - We will follow up all agent showings to obtain both their feedback and that of their prospective buyers. Feedback - We will provide you with the feedback we receive, both positive and negative as it is communicated to us. This is the information we will discuss during our Friday touch base appointment. Unfortunately, not all agents provide feedback, but we will do our best to reach each agent who shows your home. Brochures - Please let us know if you are running low on brochures. It is best to let us know when there are a few left so we have time to get them printed and out to your home. all the lights before you leave (i.e. the house should be in “showing condition” so that we “re-impress” the Buyer, the Buyer Agent and the Home Inspector). If there are any concerns as a result of either of the inspections, they will usually be addressed in the addendum from the buyer and we will respond at that time. Plan to budget $1,500 or more for repair items. Radon Inspection - If there is a radon contingency in your contract, the Buyer Agent will arrange the inspection. You will need to keep all windows in your home closed for 48 hours or as long as the canister is in your home. The Radon Inspector may call you directly to schedule the appointment. Condo or POA Documents - If you are part of a Condo or Homeowner’s Association, we will work with you to order a Condo or POA Disclosure Information Packet from your association that will be delivered to the buyer’s agent. This usually costs at least $100.This contingency is required by Virginia law. Home Inspection Repairs - Obtain receipts for any work that is done and email the receipts to us as soon as work is complete. Also bring the receipts to settlement. Well and Septic Inspections - If applicable, based on the contract, either the Buyer or the Seller will order this inspection. Appraisal - The appraiser for the Buyer’s lender will contact us to set up an appointment to do the appraisal— we will let you know when this is scheduled. Contingency Removal - If the inspections are completed satisfactorily, the Buyer Agent will present us with an addendum, signed by the buyer, removing the contingencies. Many times these addendums will be accompanied by a request from the buyer for fixes or credits to be provided. Loan Status - We will track the status of the Buyer’s loan so that we can assure that the loan is approved in a timely manner and addressing any problems or conditions. an information sheet that will need to be completed and returned to them. Title Policy - If you have owned your home for less than 10 years and you took out an Owner’s Title Policy, please email us a copy of the cover section of the policy, which shows the name of the company and the policy number. infestation that requires correction or treatment, you will be responsible for having this done immediately as it is a requirement of contract. Settlement Scheduling - We will coordinate with you and the Buyer Agent to schedule the time for settlement on the date specified in the contract. If you will not be at settlement, arrangements will need to be made immediately and you will need to advise the settlement company so that a power-of-attorney can be prepared. Note that due to conflict of interest, we may not act as your power-of-attorney. Utilities - Call ahead of time to have the utilities taken out of your name on the day after settlement. Do not have it done on the day of settlement. If there is a gap in service, the Buyer will be unable to do a walk through. Insurance - Do not cancel your insurance until you have received your proceeds, which is approximately three days after settlement. Walk-Through - The Buyer Agent and Buyer will do a walk-through within seven days prior to settlement as well as the day of or day before settlement. If you are not renting back, you will need to have your home. “broom clean” and ready for the buyers to move in. Any appliance manuals, warranties, garage door openers, mailbox keys, etc. should be left in the kitchen. Settlement - We will attend settlement with you to ensure that all goes smoothly and to answer any questions you may have. Proceeds and Payoff - Note that you should not plan to use your proceeds for at least four business days after settlement. Although settlement agents do try to expedite this process, funds are not disbursed until after the transfer deed goes on record at the courthouse and your existing trusts are paid off. By law, the settlement company has three business days to complete this process. What to bring - Bring your driver’s license for ID purposes and all keys to the house. Also, bring a “voided” check with you for the account where you would like the settlement company to wire your proceeds. After settlement, it’s time to celebrate and to wish you well as you move on! Most of our business is from referrals from our previous and ongoing clients. If you are pleased with our service and feel we have served you well, we would greatly appreciate a reference letter, or an online review on our Zillow or Facebook page!